UNION CITY, NJ – New Jersey Hudson River waterfront Cities have become well-known as destinations for single-professionals, couples and growing families with revitalization bringing upscale high-rise residential buildings to the riverfront and chic shops, boutiques and fine restaurants lining their downtown neighborhoods. 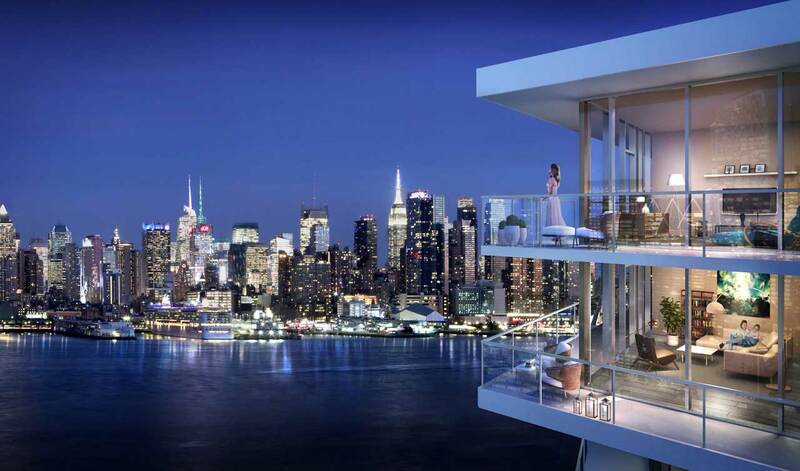 The surge in popularity of places such as Hoboken, Jersey City and Edgewater has left a dwindling inventory of homeownership opportunities that are within the budget of first-time buyers seeking an upscale urban lifestyle and ease of commutability. This decade-long gentrification has led to an expansion of the Hudson River “Gold Coast” into neighborhoods that provide affordable luxury, lower housing prices and similar public transportation access to Manhattan. Ms. Rivas has found one Hudson County building that fits this criteria and drawn the attention of young professional homebuyers from New Jersey and Manhattan to Brooklyn and Queens. The Lenox on Central Avenue in Union City offers upscale condominiums, Manhattan-style amenities and a convenient location minutes from New Jersey Transit busses to Manhattan. Homes are priced to appeal to buyers currently renting in New York City, Hudson County and beyond with condominiums starting at $179,000. Ms. Rivas, who has been active selling Hudson and Bergen County real estate for 14 years, also understands transportation plays a key role for those moving to the area. She notes the Lenox’s commuter-friendly location has been a major consideration for her clients. 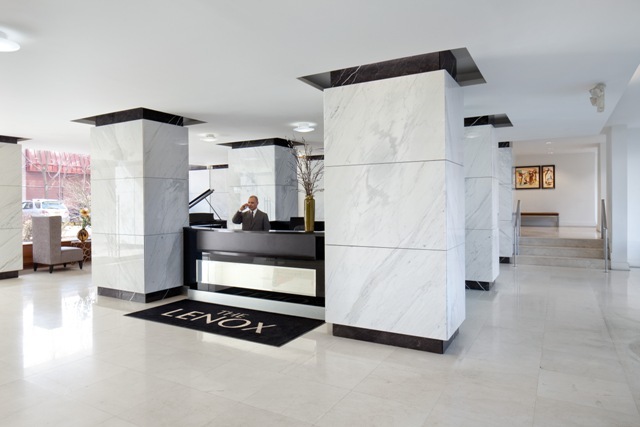 Sun Equity Partners, developer of The Lenox, released newly renovated condominiums and an exciting suite of five-star recreational and social amenities at the building in early summer. More than 50% of the homes at Lenox are now sold as buyers have responded enthusiastically to this unique chance to enjoy modern land luxurious living at value-packed pricing. 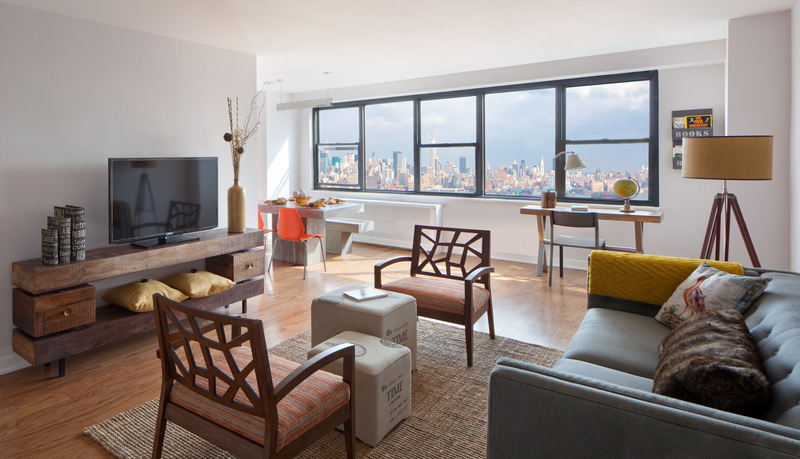 Available for immediate occupancy, the newly-released studios, one- and two-bedroom residences at The Lenox feature spacious floor plans with contemporary finishes and appointments. The building is also approved for favorable financing programs offered by the Federal Housing Authority (FHA) that require only a 3.5% down payment. A variety of floor plans are available at The Lenox which range in size from 535 to 1,089 square feet of living space. Designer finishes found throughout the homes include hardwood floors, kitchens with stainless steel GE appliances, custom white gloss kitchen cabinetry and quartz countertops with marble backsplashes; and spa-like bathrooms with imported tile walls and floors and Moen shower fixtures. Bolstering the enviable lifestyle at The Lenox are the number of Manhattan-style amenities which include the onsite 24-hour concierge to handle specific needs and requests, magnificent lobby, state-of-the-art fitness center, residents’ lounge and a clubroom with pool table and flat screen TV. In addition to its attractive pricing, stylish homes and exciting amenities, The Lenox also offers residents an ultra-convenient location and complimentary shuttle service to the Hoboken PATH station is provided from the building’s front door. “The building is one block away from NJ Transit Bus Stop with direct service into New York’s Penn Station, and the Hudson-Bergen Light Rail is a 15-minute walk away at Hoboken’s 8th and Jackson Streets platform,” Ms. Marzullo points out. Fully furnished model homes are now open at The Lenox. Merchandised by prominent interior designer Debee Weisman of T.D. Designs, the residences illustrate the comfort, value and appeal of the building.